Disney announced that the Hall of Presidents re-opening date at Walt Disney World's Magic Kingdom Park will be on Tuesday, December 19, 2017, with the addition of a U.S. President Donald J. Trump audio-animatronic figure. According to Disney, the Trump figure features the latest advances in technology that enable smoother and more lifelike movements. President Trump personally recorded remarks exclusively for The Hall of Presidents, just as each sitting president has done for the attraction since the early 1990's. The Hall of Presidents was envisioned by Walt Disney himself to honor the country by honoring the presidents of the United States and began with a single animated figure of President Abraham Lincoln that was developed for the 1964-65 New York World’s Fair. When Walt Disney World opened in 1971, advances in technology made it possible for Imagineers to make Walt Disney’s vision a reality by including every chief executive who ever served the United States of America. 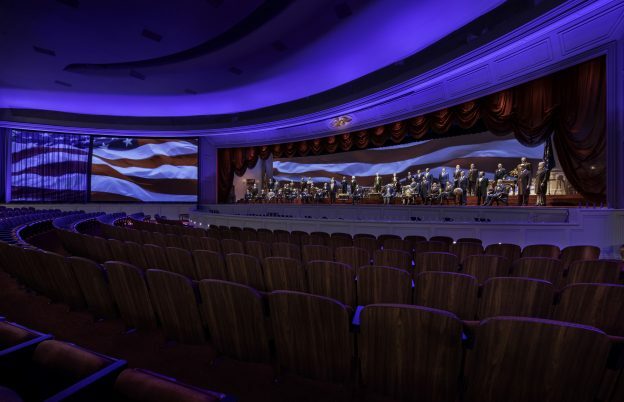 "Rich in innovative storytelling and tradition, The Hall of Presidents carries a legacy and passion for American history that has been part of Disney Parks for more than 50 years," Disney stated in its blog.